Since its inception, Godzilla fandom in the West has been forever plagued by misinformation and ignorance. Fortunately, the past few years have seen an establishing of thc facts by such informed writers as Ed Godziszewski, David Milner, Guy Tucker, Robert Biondi and John Rocco Roberto, to name a few. The Official Godzilla Compendium is, however, a Godzilla-sized step backward. The synopses and film credits are so loaded with mistakes, it is a discredit to the character of Godzilla that this book bears the “official” tag in its title. The byline screams, “What’s green, 400 feet tall, and eats trains for breakfast? If your answer is Godzilla, you’re wrong, and you need this book!” Yet The Official Godzilla Compendium is so riddled with errors that readers will actually need another book, one much better written then the compendium, to clear up the many misconceptions perpetrated in its pages about the King of the Monsters. The Official Godzilla Compendium is co-authored by J.D. Lees, publisher of the fanzine G-Fan, and Marc Cerasini, professional author of several enjoyable and intelligent Random House young adult novels on Godzilla. Judging by the content, style and adolescent tone of this book, however, and keeping in mind the high caliber of Cerasini’s past work, it is obvious that he had very little input into the compendium. Given that this tome was sanctioned by Toho Co. Ltd., the copyright owners of Godzilla, it is puzzling as to why Random approached J.D. Lees, the publisher of an amateur fanzine, to write this book. Furthermore, while it is not the purpose of this review to critique Lee’s G-Fan, it should be pointed out that, given the number of knowledgeable writers who have contributed to his magazine in the past, it is inexcusable that Lee’s compendium is so filled with inaccuracies. 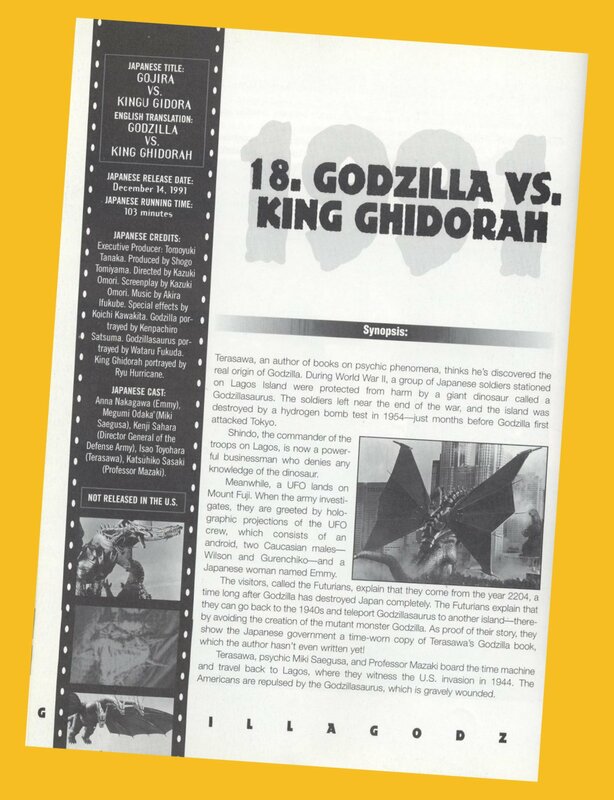 Surely, it has been G-Fan ‘s position over the years to attempt to rectify’ the misconceptions that books like The Official Godzilla Compendium report as fact. To begin, a multitude of small but not insignificant errors crop-up in the credits listed for each movie. Several of the running times for the films are incorrect, such as 81 minutes for the US version of Ghidrah, the Three-Headed Monster (correct time: 85 minutes), 86 minutes for the US version of Destroy All Monsters (correct time: 88 minutes) and so on. While this may be a minor flaw to some readers, it is pointless to note running times if they are inaccurate. Likewise, Lees classifies the “US Theatrical Title” of Monster Zero as “Invasion of the Astro-Monster” even though this film was never theatrically released in the US under the latter title. For Godzilla vs. the Sea Monster and Son of Godzilla, Lees wrongly credits the American release of these two films to American International Pictures. This is a misconception that has spread through the fandom since the 1970s. In recent years, it has been established that these two films were in fact released to television by Walter-Reade Sterling, the same company that had previously released Ghidrah, the Three-Headed Monster. Lees refers to Godzilla vs. MechaGodzilla’s “US Theatrical Title” as Godzilla vs. the Bionic Monster, and the “US Early Video Title” as Godzilla vs. the Cosmic Monster. The film was in fact re-titled Godzilla vs. Cosmic Monster while still in its theatrical run due to legal pressure. An incorrect release date of March, 1977 is given for Terror of MechaGodzilla; the correct release date was July, 1978. Lees also puts the US theatrical running time for this film at 89 minutes, when the running time was actually only 79 minutes (this is the same severely edited version that has been available on video for years). · In reference to Godzilla vs. the Thing, the compendium states that Kumayama is the “owner of the industrial park” that was destroyed by a typhoon at the beginning of the film, and that he “plans to build a huge incubator” for Mothra’s egg. In fact, Kumayama (Yoshifumi Tajima) has nothing to do with the industrial park, and it is his partner, Torahata’s (Kenji Sahara) idea to build an incubator. · The sloppy writing demonstrated in the comments for Monster Zero is at times comical. Miss Namikawa (Kumi Mizuno) is said to confess her true identity and her love to Glenn (Nick Adams) after he is captured by the X-Seijin, although this actually happens before his capture. Of the climax, Lees writes that “…Tetsuo’s invention …brings down the saucers and, breaks the control the aliens have over the monsters. In a last desperate move, the aliens send Monster Zero to destroy Earth, but Godzilla and Rodan stop the three-headed monster…” First, it is the A-Cycle Light Ray and not Tetsuo’s invention that breaks the alien’s control of the monsters. Second, the X-Seijin had first sent King Ghidorah, Godzilla and Rodan to destroy the Earth, before mankind’s counterattack and certainly not after. Indeed, it would have been a little difficult for the aliens to send King Ghidorah to destroy Earth “in a last desperate move,” since by that time they had already blown themselves up! · For Godzilla vs. Gigan, the author describes Kubota as “the head of the World Children’s Land,” when in fact Kubota is the secretary to the chairman, who is unmentioned in the synopsis. Similarly, no mention is made of Angilas’ role in the battle against King Ghidorah and Gigan. Also, the use of stock footage in this film was evidently a taboo subject, as the appearance of “Mothra, Gorosaurus, and Kamacuras…briefly glimpsed in their Monster Island habitat,” and also the “new. . . high-tech mecha. .. (that) appear to combat King Ghidorah and Gigan” are not correctly identified as having been lifted from previous Toho SPFX films. · In the synopsis for Godzilla vs. Megalon, it is laughably stated that “Godzilla seems over-matched (by Megalon and Gigan)–until Jet-Jaguar…grows to the size of Godzilla and joins in the battle.” In actuality, Jet Jaguar grow first, and it was he who is over-matched by Megalon and Gigan, before Godzilla ever joins in the battle. This should be apparent to anyone who has watched this film. · In the synopsis for Godzilla vs. MechaGodzilla, the aliens are referred to as “the Simeons,” even though no such reference is made in either the US or Japanese version. Furthermore, nowhere in the synopsis for both this film and Terror of MechaGodzilla are the aliens properly referred to as having originated from the “Third Planet of the Black Hole.” In regards to Godzilla vs. MechaGodzilla, it is also erroneously reported that during the early battle between Godzilla and the disguised MechaGodzilla, the fire at the oil refinery “melts away” MechaGodzilla’s outer hide; in fact, the alien leader unveils the robot monster by releasing a white flame via remote control. For Terror of MechaGodzilla, Lees writes that Katsura (Tomoko Ai) sends Titanosaurus to destroy Ichinose’s submarine, when in fact it was the aliens that ordered this. It is also reported that “Katsura is shot when she tries to sabotage Interpol’s sonar weapon,” even though Katsura had already sabotaged the weapon before she was shot. It is also implied that Godzilla solely defeats MechaGodzilla while “…Interpol subdues Titanosaurus with their sonar weapon.” In actuality, Interpol weakens Titanosaurus with the sonar weapon, but it is Godzilla who delivers the coup de grace. · The actor’s credits are not immune to being misreported either, as exemplified in the text for Godzilla 1985. It is stated that “Actor Kenpachiro Satsuma was chosen to play Godzilla,” even though Satsuma was not “chosen.” Rather, Satsuma volunteered after the first choice, a man whom he had recommended, backed out of the job. (Lees in fact contradicts himself two paragraphs later by noting ‘ “…the (Godzilla) suit was constructed for a much larger man.”). Even more contradictory is the statement that Satsuma “…was a veteran of suitmation… having played opposite Haruo Nakajima’s Godzilla a number of times,” while the compendium fails to credit Satsuma with these appearances. In reality, it was Satsuma who played both Hedorah in Godzilla vs. the Smog Monster and Gigan in Godzilla vs. Gigan and Godzilla vs. Megalon, which the compendium credits to “Kengo Nakayama,” failing to note that it was simply an early stage name Satsuma had used. 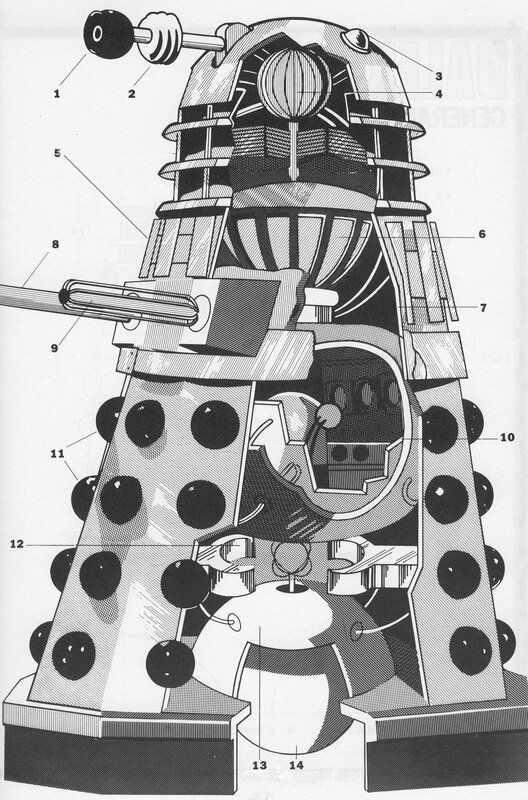 · For Godzilla vs. Biollante, Lees refers to “…a tank battle (with Godzilla) that takes place in a heavy rainstorm,” when in fact this attack was merely used to lure Godzilla into the MT6000 field in order to activate the ANEB (Anti-Nuclear-Energy Bacteria) that was previously injected into his body (a main plot detail that goes unmentioned). Also, it is misreported that “One year after its release, Godzilla vs. Biollante came to America – via video and cable television.” Biollante may have come to America in 1990, but only through bootleg video copies; the film was not commercially released on home video until 1992. Furthermore, Godzilla vs. Biollante was not screened on cable television until 1994. · In the synopsis for Godzilla vs. Mothra, Lees’ sloppy prose once again becomes amusing. Writing of the clash between Godzilla and Mothra in the Philippine Sea, it is stated, “He (Godzilla) destroys everything in his path, including the ship carrying Mothra’s egg. But as Godzilla attacks the egg, Battra arrives. The Mothra egg hatches, and a third creature joins the battle.” The fact is that, excluding the opening credit sequence; this was Godzilla’s first appearance in the film. Godzilla is not depicted as having destroyed anything at this point, and he certainly did not destroy the ship! The correct sequence of events is as follows: as Godzilla approaches the barge carrying the egg, Mothra hatches and fights Godzilla. Battra then joins the fray and in the course of battling Godzilla, the latter destroys the barge. Another misleading statement reads “…because this Godzilla film was the most profitable of the series, plans were immediately made to film the most elaborate . . . Godzilla film of them all (Godzilla vs. MechaGodzilla).” The fact is that plans were well underway for Godzilla vs. MechaGodzilla before Godzilla vs. Mothra was released in Japan. As it was announced as the next film the very day that Godzilla vs. Mothra opened, obviously Toho did not wait to see the profits from Godzilla vs. Mothra before deciding to commit to producing Godzilla vs. MechaGodzilla. · In the synopsis for 1993’s Godzilla vs. MechaGodzilla II (Toho’s official English title), it is misstated that “…Super MechaGodzilla attacks, and Fire Rodan is killed.” Not only was MechaGodzilla not in Super MechaGodzilla mode at this point, but Fire Rodan was mortally wounded, not killed. This error is even contradicted in the following paragraph that states, “…Fire Rodan …transfers its life energy to Godzilla.” Lees also writes “No fewer than five monsters (emphasis added) appear in the film…” and he lists “…the shattered remains of Mecha-King Ghidorah” as one of the five. It is incredible that the remains of Mecha-King Ghidorah can be misconstrued as “appearing” alongside the other four monsters. The cyber-dragon’s “appearance” (which solely consists of a shot of the battered mecha head in a military hanger and a shot of a computer-generated blueprint) barely constitutes less than a minute of footage. Long-time G-Fan readers will be perplexed by Lees’ shift-in-policy regarding to the “official” American titles of Godzilla movies. In the table of contents, it is stated that Toho’s official English movie titles have been used. Thus, Godzilla vs. the Thing is called Mothra vs. Godzilla, Monster Zero is Invasion of Astro-Monster, Godzilla’s Revenge is All Monster’s Attack, Terror of Godzilla becomes Terror of MechaGodzilla, and so on. 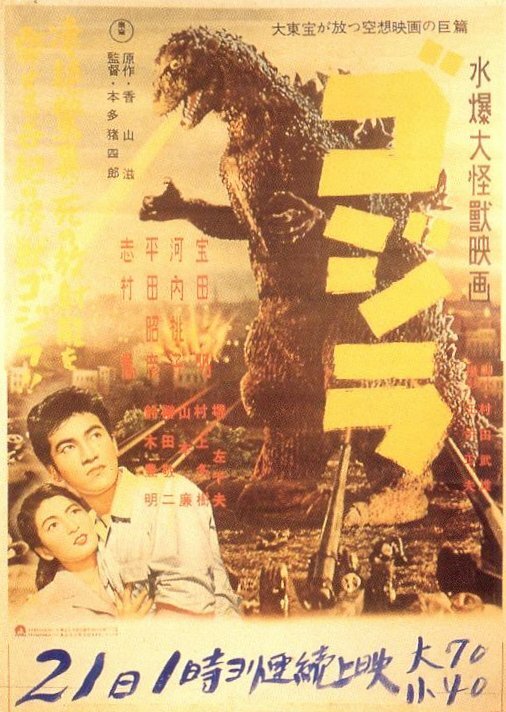 While Lees devotes a separate table to the various movie titles of the Godzilla series, this all must have been a bitter pill for him to swallow. For years, Lees has pedantically attempted to “standardize” the American titles by only using the original US theatrical titles in G-Fan. “Those titles are a part of history, and history cannot be changed,” Lees once pontificated. While this statement is in itself debatable (after all, Lees apparently never heard of the term “revisionist history”), it seems that Toho who is attempting to change history with this book, another example of the cost of official sanctioning. Likewise, Lees was apparently forced to change his policy regarding the name Gojira, as it is used throughout the compendium. In the past, Lees always made it a point never to use “Gojira” in G-Fan, since he does not believe it to be the Japanese equivalent of the English “Godzilla.” Again, one can only surmise that Lees fumed at being forced to compromise such pedantic concepts. “Wardrobe! The Many Suits of Godzilla,” as credited to Lees, is one of the worse aspects of the book. The text is superficial and misleading. 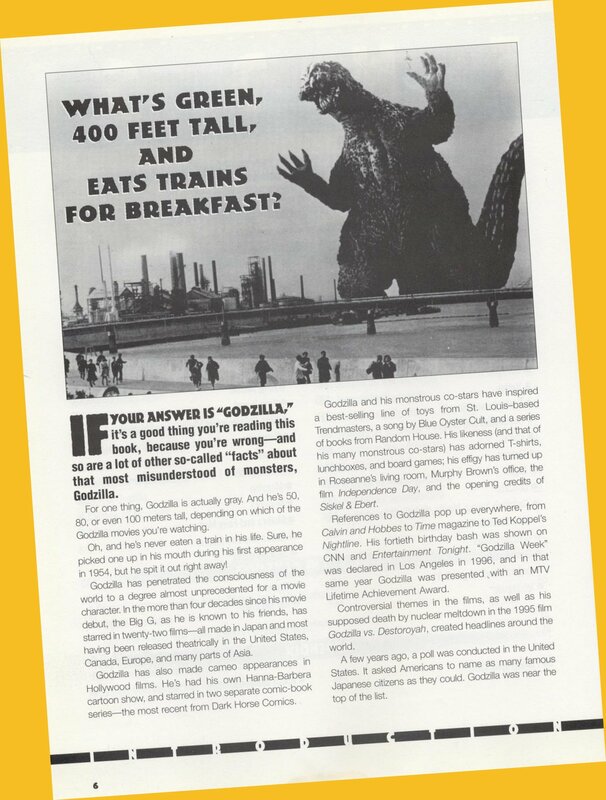 Ultimately, this results in an article that is woefully inferior to two previously published English-language features that covered the evolution of Godzilla, one in Ed Godziszewski’s book, The Illustrated Encyclopedia of Godzilla and the other by Robert Biondi, which was published in Lees’ own G-Fan magazine. For example, Lees implies that the Godzilla costume used for Godzilla vs. Megalon was different from the one in both of the MechaGodzilla films; in fact, the same suit with different facial features was used for all three films. Such errors are compounded by the use of mismatched reference photos, such as a picture of the Destroy All Monsters suit (as seen in Godzilla vs. Gigan) for the two MechaGodzilla films, a close-up shot of the cybot head for Godzilla 1985, and soon. In the Godzilla 1985 entry, it is stated that “The eyes returned to the style of King Kong vs. Godzilla…,” when in fact the designers copied the eyes from the suit used in Godzilla vs. the Thing. Furthermore, after the entry on Godzilla vs. Biollante, Lees generalizes that “No further significant changes took place in Godzilla’s appearance until his last film, Godzilla vs. Destoroyah.” Either Lees could not distinguish between the four different costumes used from Godzilla vs. King Ghidorah to Godzilla vs. Space Godzilla or he felt that he could not bother to mention them. Amazingly, Lees does not list a bibliography and rarely makes mention of any sources, other than one apiece for Greg Shoemaker’s Japanese Fantasy Film Journal and Guy Mariner Tucker’s book, Age of the Gods. While it is an injustice that he does not cite his sources, who are apparently better informed writers than he is, this is actually a blessing in disguise given the way he jumbles and misuses the information. Another hindrance to the compendium is Lees’ prose, which is so patronizing that at times it comes across as insulting to the reader. The introduction to the compendium concludes with “This book is your passport, so climb into your radiation suit, suspend your disbelief, and get ready to enter the wondrous world of Godzilla.” For readers who are just discovering Godzilla, and wish to do so with an open mind, this so-called “writing” comes across as giddy, silly and condescending, a tone that is more appropriate for young children who want to read about Barney than a cinematic icon. This introduction, however, aptly sets the tone of the rest of the book. In his commentary on King Kong vs. Godzilla, Lees refers to Godzilla as the “‘nuclear’ kid on the block,” and closes this entry by blurting, ‘There would be no rest for the wicked now!” In the same entry, Lees addresses the common misconception that Godzilla is green by irreverently quipping, “Kermit the Frog is green. Godzilla is not.” Likewise, the titles for many of the sidebars and sub-chapters are equally sophomoric, such as “Monstrous Feat!” “Name Game,” “Godzilla’s Spare Parts,” and so on. For a book that had the potential to present Godzilla to millions of Americans as a legitimate art form, Lees’ infantile and self-amusing remarks do nothing but seriously damage the credibility of the book and Toho’s character. Ultimately, Lees’ frivolous prose reaches a low point with another comment made in the entry for King Kong vs. Godzilla. Referring to the Cuban missile crisis, Lees’ writes “…the United States and the Soviet Union, almost duked it out in a nuclear confrontation…” (emphasis added). It is in astonishingly bad taste that Lees would refer to a potential nuclear apocalypse as “duking it out” (we should be thankful he refrained from similarly commenting on either Hiroshima or Nagasaki). As the contributors page lists Lees as a high school teacher in Canada, one has to wonder if he teaches his students in the same manner. “What’s It All Mean? The Symbolism In Godzilla Films” is a fine example of how to waste space with pompous remarks and thinly referenced excuses to run more photographs. 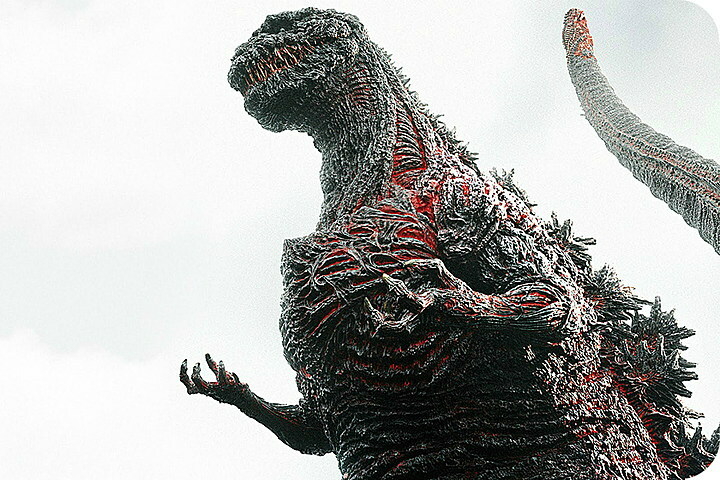 This article states, “Overzealous analysts have attributed unintended symbolism to some entries in the Godzilla series,” and closes with the assertion that “Most of the series was created and executed strictly as escapist fantasy fare.” Yet Lees does not cite any evidence to support this claim, leaving the reader to wonder exactly how Lees could know what was in the minds of the original creative teams behind Godzilla film series. Such presumption and pomposity on Lees’ part only serves to discredit the reference value of the compendium. Furthermore, the book subsequently features guest essays on “A Dinosaur Paleontologist’s View of Godzilla,” and the unbelievable “Godzilla as a Parenting Tool.” Thus it would appear that it is Lees who is taking Godzilla too seriously. All criticisms of literary content aside, The Official Godzilla Compendium’s strengths are in its layout and illustrations. The color section featuring Japanese posters for all 22 Godzilla films, cover galleries for past Dark Horse and Random House publications and original artwork by Arthur Adams are all well done, as is the “Profiles of the Monsters,” which features acceptable commentary illustrated by black and white art from Adams. 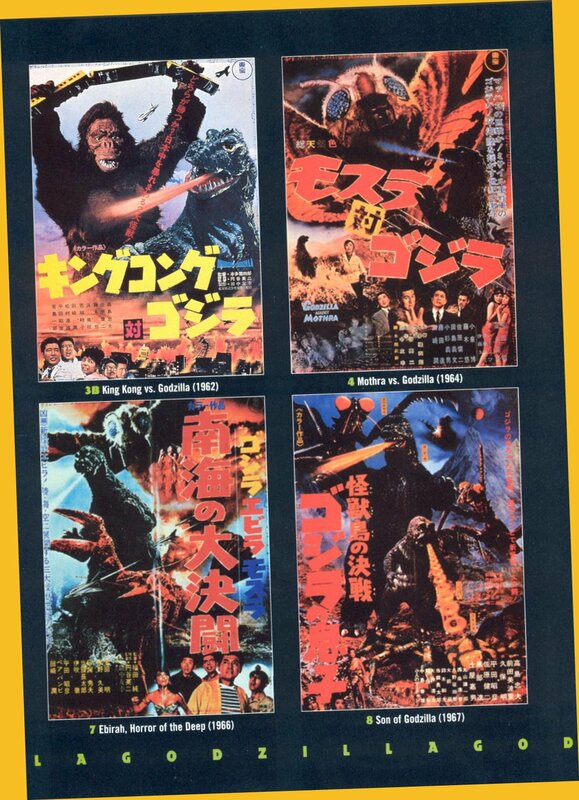 The only drawback is that many of the movie posters from the 60s and 70s are represented by blurry photographs, a problem that is virtually non-existent in the many Japanese books that have featured similar sections. In the “Profiles” section, Adams’ line art of the monsters is refreshing, although inconsistently combined with adequate, but somewhat lifeless sketches by an unaccredited artist. It would have been more favorable if Adams’ artwork had been utilized exclusively throughout this section. Unfortunately, many of the photos used to illustrate the individual films are the same retouched publicity stills that have been widely used in books and magazines for over 20 years. These photos only serve to cheapen the films and don’t do justice to the awe-inspiring effects created by the Japanese filmmakers. Some photos are even utilized more than once and on succeeding pages, as if Random House did not have access to an adequate amount of visual material to fill the book. 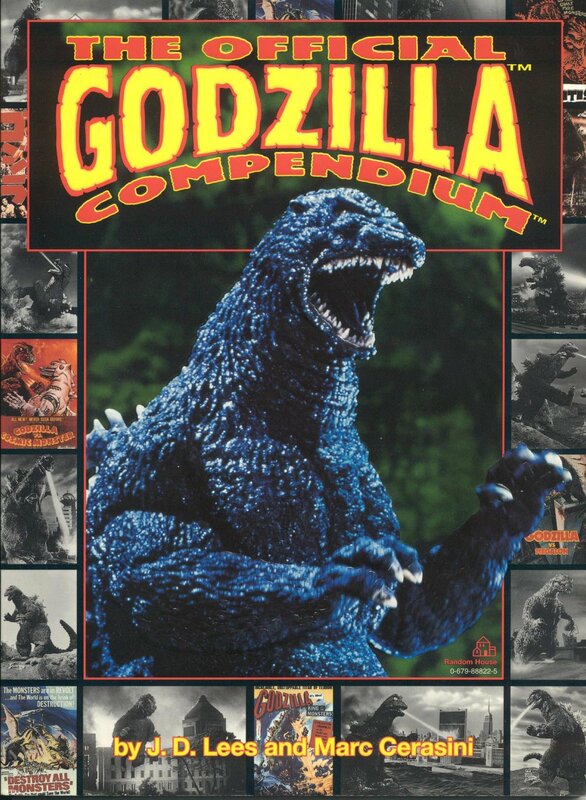 In the final analysis, it is difficult to recommend The Official Godzilla Compendium, even though the book is certainly affordable at $16.00. Any and all positive factors are virtually outweighed by the book’s patronizing prose, the error-ridden film credits, the inept synopses and its pathetic attempt to chronicle the history of the King of the Monsters, Godzilla. – Brian Donlevy as Professor Quatermass from “The Quatermass Xperiment” (1955). Quatermass quote sited by Robert Biondi.